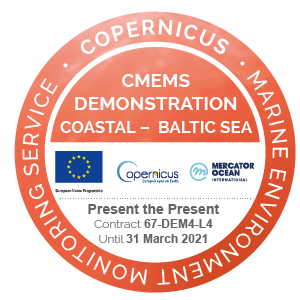 Aim of "Present the Present"
Raising awareness on the possibilities of operational coastal Copernicus Marine environment monitoring service (CMEMS) downstream products. Laboratory for mathematical modelling of environmental and technological processes, Faculty of Physics and mathematics of University of Latvia (UL) in the project â€œPresent the present (FIMAR for WEB)â€� is promoting demonstration of operational, coastal CMEMS downstream service and developing the functional elements needed for this service. The demonstration is based on the existing proprietary CMEMS downstream service operationally operated by UL since 2004. 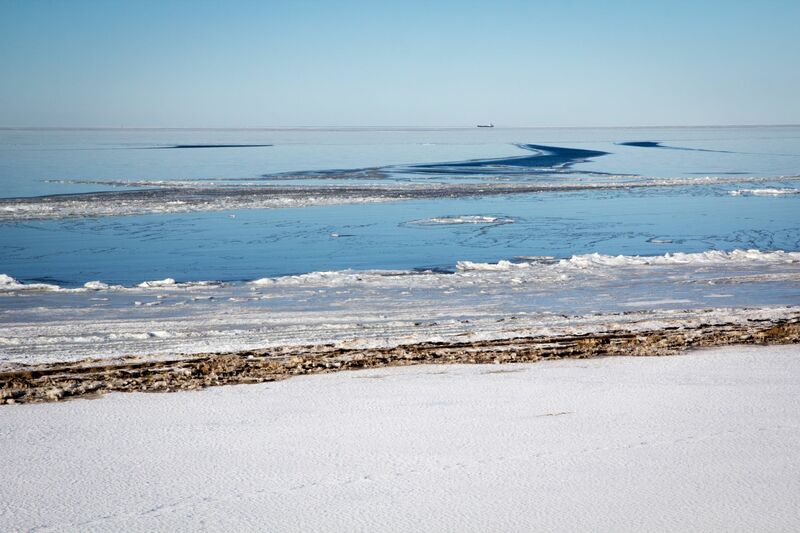 This is information system FIMAR which is used by end users â€“ marine safety and marine security operators in Latvia; however, the existing system lacks visibility, promotion and awareness with other potential stakeholders. Existing operational system FIMAR uses CMEMS numerical forecast products to provide pay service to its end users via proprietary interface. Service includes operational modeling of waters of Latvian jurisdictions, regular delivery of forecasts, and it includes functionality of visualisation, animation, decision support in resource allocation, route planning, search and rescue operations. It includes module for modeling of the fate of marine pollution (oil, chemical) and floating objects. This module developed around 2010 is undergoing update to contemporary state-of art standards and verification in this work package. UL will extend the most promotional parts of existing proprietary pay service to free web service. For this, we are developing a web platform and use dedicated webpage www.water.lv. 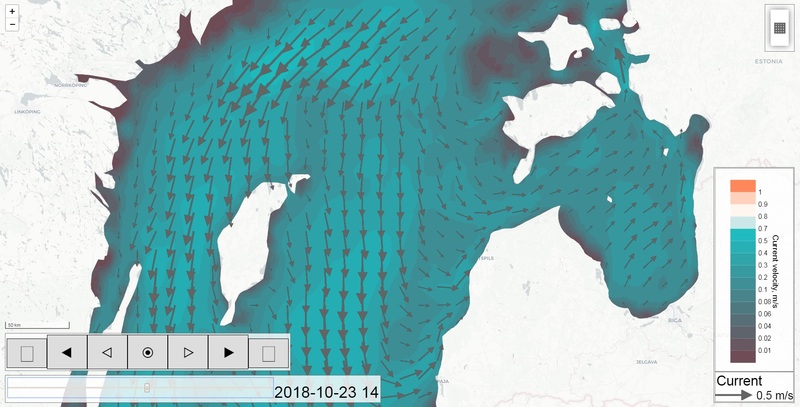 Free service is linked to the map service and include 2D (map) and 1D (graph, in development) visualisation/animation of waves, waterlevel, currents, water temperature, ice and wind speed. It will include user initiated drift simulation of floating objects and/or substances. 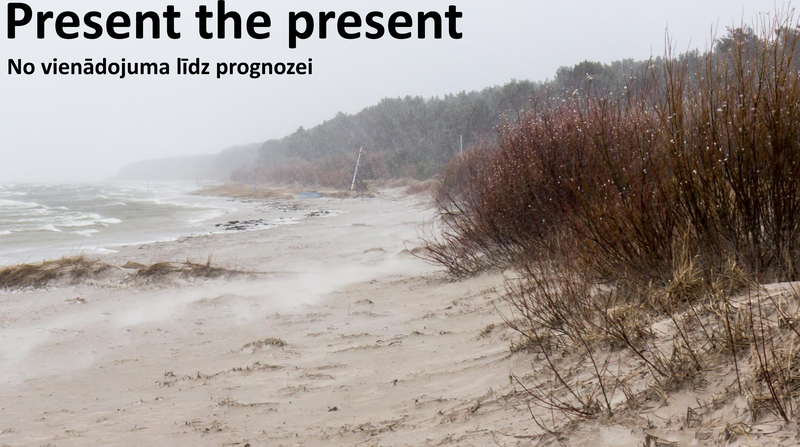 Synchronising the launch of the website with 100 year anniversary of Latvian national state, and using motto â€œPresent the Presentâ€� â€“ scheduled on 22-Nov-2018. Positioning the widescreen interface to the system in 2 to 3 public buildings e.g. foyers of main building of UL (scheduled on 14-Nov-2018), and/or Ministry of Environment and/or Latvian Centre of Geology, meteorology and environment. Running 50 weekly contests of drift modellers with symbolic prizes (first round scheduled on 22-Nov-2018). Such contests might raise awareness of seasonal coastal actualitties as drift of ice, drift of swimmers, upwelling, riverine pollution. Organising a national CMEMS and FIMAR user seminar and synchronising it with the 100 year anniversary of University of Latvia. The primary stakeholder groups targeted by Present the present demonstration are State Environmental Services (which performs among others a) state control of environmental protection and utilisation of natural resources according to normative regulations; b) participation in managing of emergency situations), Latvian Centre on Geology, meteorology and environment, Latvian Firefighting and rescue service, Scientific Institute of Food Safety, Animal Health and Environment (having national responsibility in fields of Fisheries and Aquaculture in Latvia). The secondary stakeholder groups are tourism industry, interest groups (leisure, kiters, surfers, yachtsmen) public, particularly students and teachers. General benefit of the service is related to prevention of pollution in marine environment and strengthening marine data literacy in society of Latvia. Planned visualizations of the pollution drift are going to raise awareness of environmental issues in the Baltic Sea (marine litter issues addressed in the demonstration). 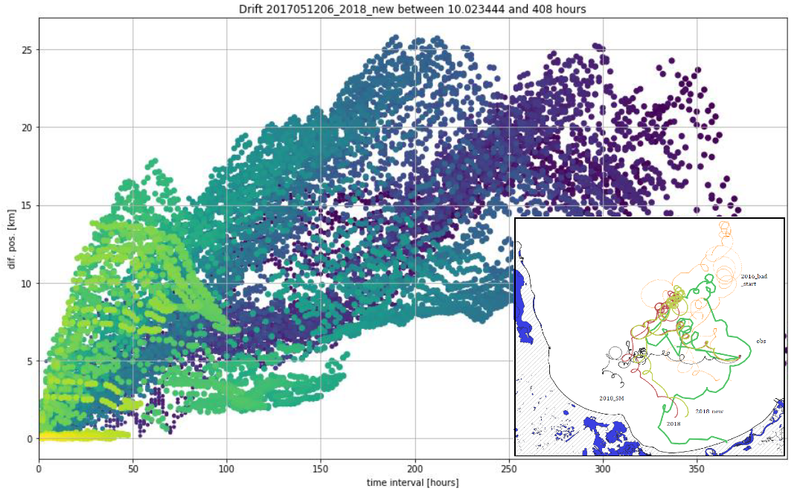 Data infrastructure: both atmosphere and oceanographic operational data are necessary for predicting the drift motion of the object and pollution. Wind speeds and atmosphere data are acquired from HARMONIE model driven by Danish Meteorological Institute (DMI). Oceanographic data implementations from Copernicus Marine Services data services are used. Implementation of sub grid precision for oceanographic data in the vicinity of certain areas are planned via running UL_HBM OO setup. 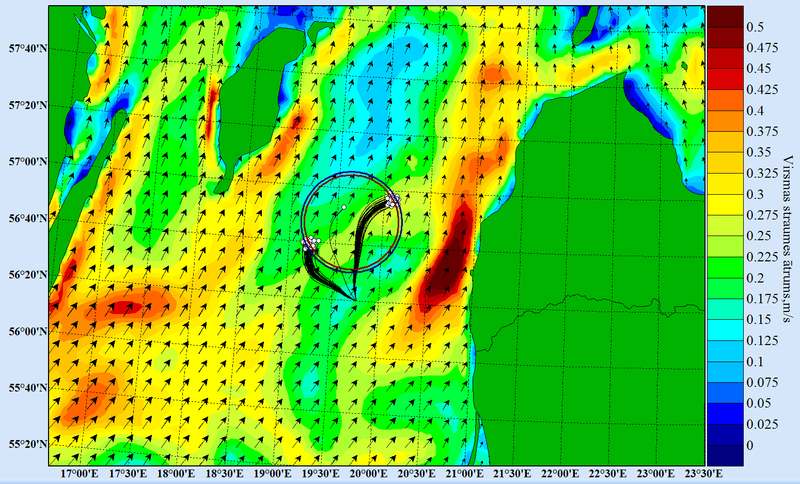 Sea surface satellite data are used for boundary conditions in UL_HBM. The service benefits from the Copernicus Marine Monitoring Service (CMEMS) data. Derived product - drift solver is developed using operational data flow. BALTIC- IN-SITU OBSERVATIONS YEARLY DELIVERY IN DELAYED MODE (1990-2015) . Alpha release of the service was launched on November 2018 â€“ operational data flow and visualisation. 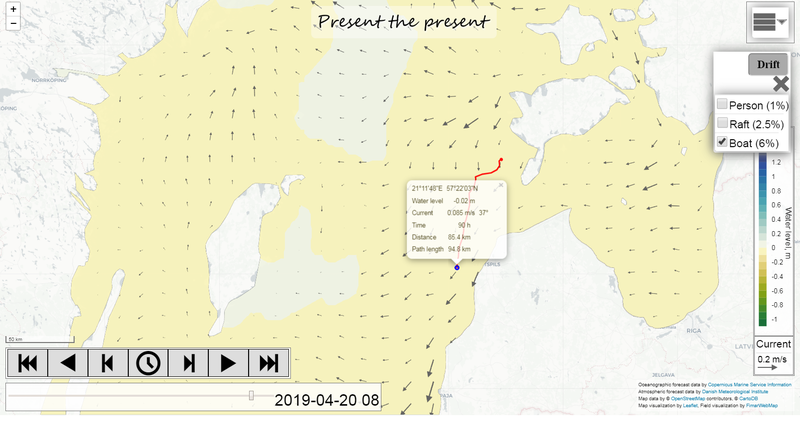 Operational forecast is updated every 6 hours, time window is 96 h. Beta version is going to be released on 15th of May, 2019. it will include object drift. Verification metrics tests for the drift model is shown. The subsequent major release of full service is planned on 15th of November 2019. It will include - photo and audio information as well as tutorials, user responses, case study reports regarding drift performance increase etc.